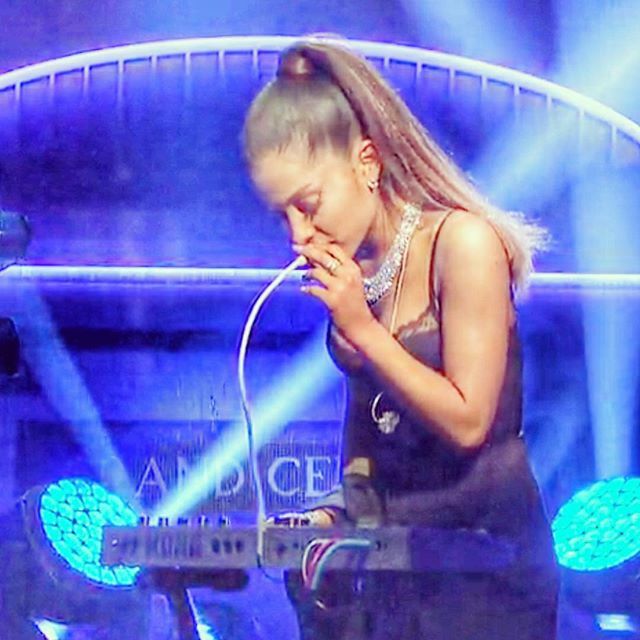 Watch Ariana Grande use the vocoder on the Korg MicroKorg during her 3/12/16 performance on Saturday Night Live (SNL). This entry was posted in Korg, Music Gear News, Synthesizers and tagged Kork, MicroKorg on March 15, 2016 by Eric PM. A groovebox is a self contained electronic music device that typically allows for the sequencing of a drum track and other synthesized sounds for lead and bass lines. A groovebox will also have builtin sounds ready for use whether it be analog, wave tables, or recorded samples. The term “rompler” is synonymous with the groovebox. A rompler has prerecorded sound stored in the ROM chip within the device. ROM stands for ‘read only memory’. The clasic Roland MC series are examples of romplers. A “sampler” on the other hand allows the musician to record new sounds into the device and sequence it. The classic MPC series from Akai Pro are some of the more popular samplers on the used market. Some grooveboxes have limitation that only allow the musician to compose short loops or kick start musical ideas. Other grooveboxes have enough complexity that will allow the musician to produce entire songs. Grooveboxes also have an assortment of FX to manipulate sound to make it your own. The Roland SP series has an abundance of FX and filters which makes them so popular. As iPad apps and computer software continue to take away from stand alone music devices market, some companies still actually make grooveboxes. The Korg Electribe series has been a long standing product line that is continually evolving. The latest versions, the Korg Electribe 2 and the Korg Sampler, are compact, battery operated, and constructed in a durable metal case. Both units have a variety of built in sounds to cater to many music genres. The beauty of this device is the capability to export your work to an SD card for import into Ableton Live. So make a beat at the beach and finish it off at your home studio on the computer. The pads have a great feel and the connection option are generous with MIDI and SYNC, perfect for connecting the Korg Volca devices. The Korg Electribe products has a street price of $399 US. Another groovebox recently added to the market is the Novation Circuit. The Circuit has three parts, 2 for synths and another for the drums. The patches in the Circuit come from the Novation Nova synthesizer. Unlike the 4 bar restriction on the Korg Electribe, the Novation Circuit allows for 8 bars. Patches are manipulated by predetermined macros as you turn the pots above the device. The Novation Circuit appeared pretty basic to me at first but with firmware updates and patch editing software in the works, it looks like Novation has big plans for the Circuit. I knew I was going to buy it since it runs on batteries. The Novation Circuit has a street price of $329 US. Grooveboxes are great to get that beat out of your imagination and into reality. Depending on the device, you will be able to produce a full song or just a 4 bar loop. The sound design potential is higher in pricier boxes such as the Elektron products. The prices of current grooveboxes are the only turn off as they near the price of medium range tablets. The opportunities creating music anytime and anywhere might just be worth the cost. 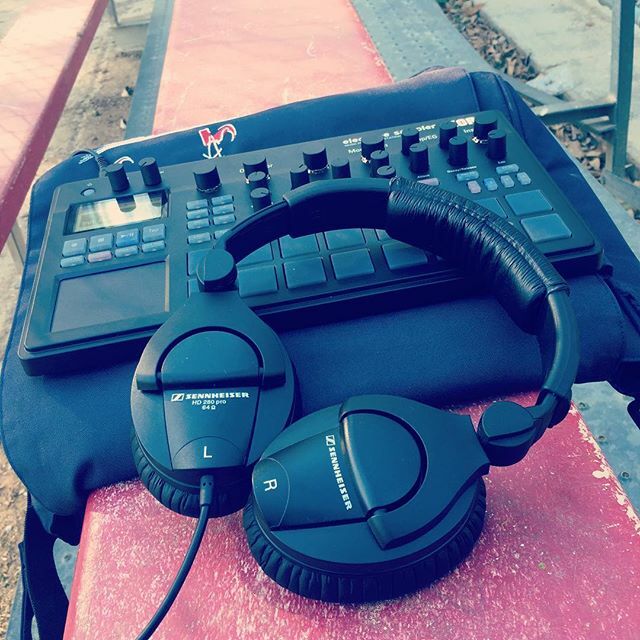 This entry was posted in Korg, Music Gear Talk, Novation, Samplers and tagged Groovbox, korg, Korg Electribe Sampler, Novation, Novation Circuit on February 9, 2016 by Eric PM. 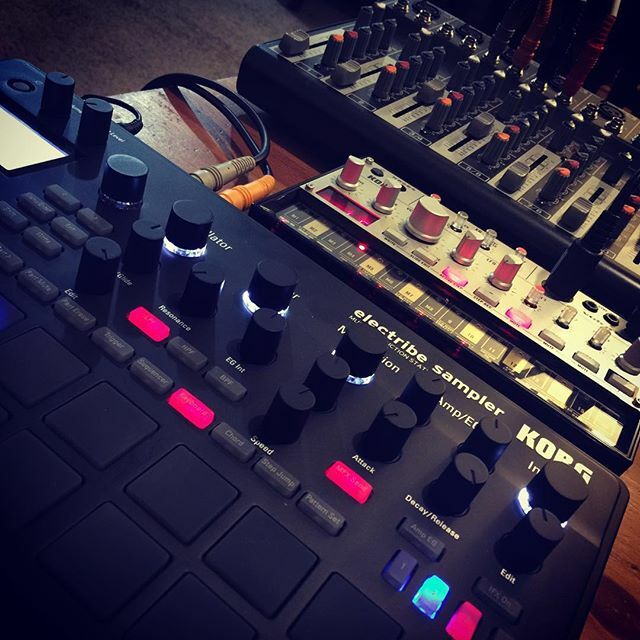 This entry was posted in Korg, NoisyBatt on Instagram and tagged analog, electribe, korg, volca bass on February 8, 2016 by Eric PM. My kid had 2 hours of baseball practice today. I grabbed the Korg Electribe Sampler to pass the time and get more familiar with the unit. Loaded it up 6 fresh AA batteries and I was ready for a morning of button mashing. 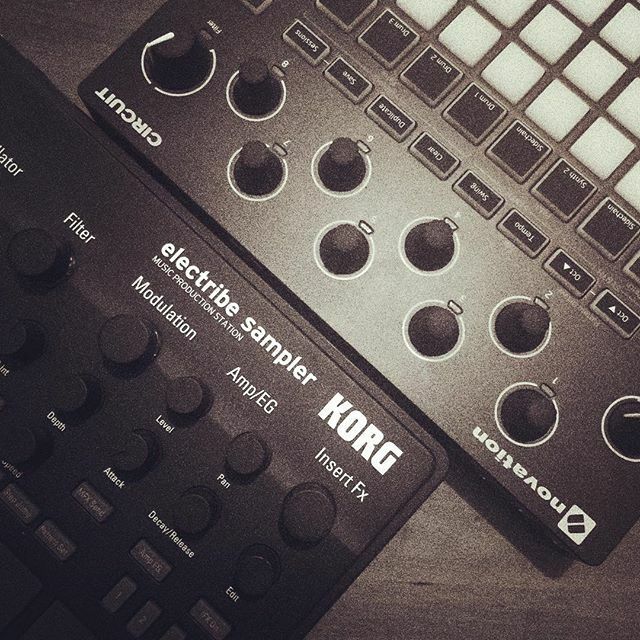 This entry was posted in Korg, NoisyBatt on Instagram, Samplers and tagged electribe, korg, Sampler on February 7, 2016 by Eric PM. 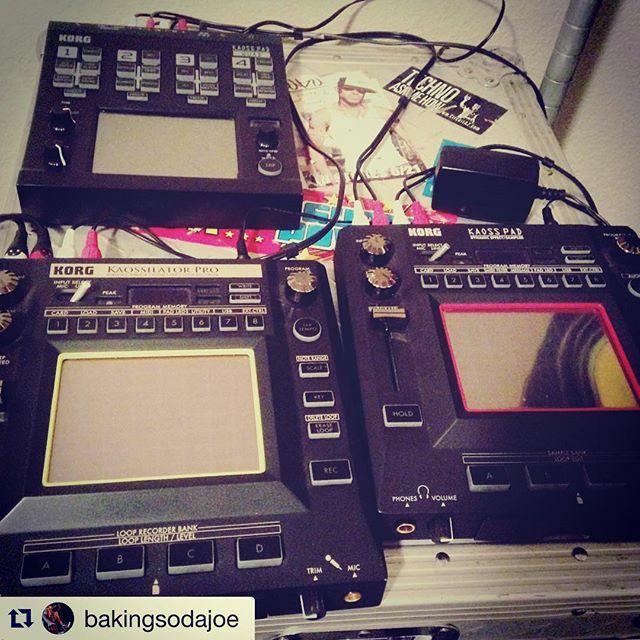 This entry was posted in Korg, NoisyBatt on Instagram and tagged kaoss, korg, kp3 on February 4, 2016 by Eric PM.